If you’re missing one or more teeth, we know you’re evaluating your options in tooth replacement. Have dental implants come up on your radar? We’ve put together a list of the things you should know about dental implants in Mt Pleasant TX. 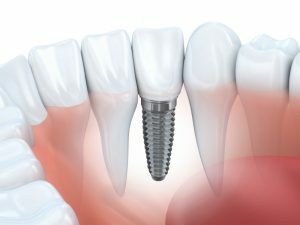 Dental implants are tiny titanium posts that act as prosthetic roots for the replacement teeth that sit on top. Each implant is surgically implanted into the spaces left by missing teeth, and after a recovery period of six to eight months, the crown or denture is placed on top. This method leads to unmatched stability in tooth replacement — more facts regarding the benefits of dental implants are listed below. If you’ve known someone who had dental implants ten, twenty or thirty years ago, you’ll be happy to know that the procedure has never been better than it is today. Modern implant dentistry is more effective and affordable than ever before. In fact, in eligible candidates, dental implants enjoy a success rate of up to 98 percent. When it comes to options in tooth replacement, nothing else gives you back your missing root as well as the crown that sits on top. Other methods, like a fixed bridge or non-implant supported denture, only give you back the visible portion of your tooth. But without the stimulation provided by its supporting root, your jawbone will slowly degenerate from inactivity. The thing that makes dental implants so stable in your mouth is a process known as osseointegration, which means the titanium post and the bone gradually fuse together upon implantation. It’s a process that takes six to eight months in all, but once it’s complete, the implant and the bone have become one solid unit. When cared for properly, dental implants can be expected to last the wearer’s lifetime. And because the jaw stays healthy and whole with prosthetic roots, your tooth replacement won’t have to be refitted to meet the changing shape of your mouth — a common consideration with non-implant supported options. If you’d like to learn more about dental implants, including whether or not you’re a good candidate for the tooth replacement option, please don’t hesitate to get in touch with your cosmetic dentist in Mount Pleasant TX. We can’t wait to help you enjoy a complete smile once again! Contact us to request your visit with Dr. Robert C. Sikes today.